I remember a few years ago, it was snowing in London. Gatwick Airport was closed down. 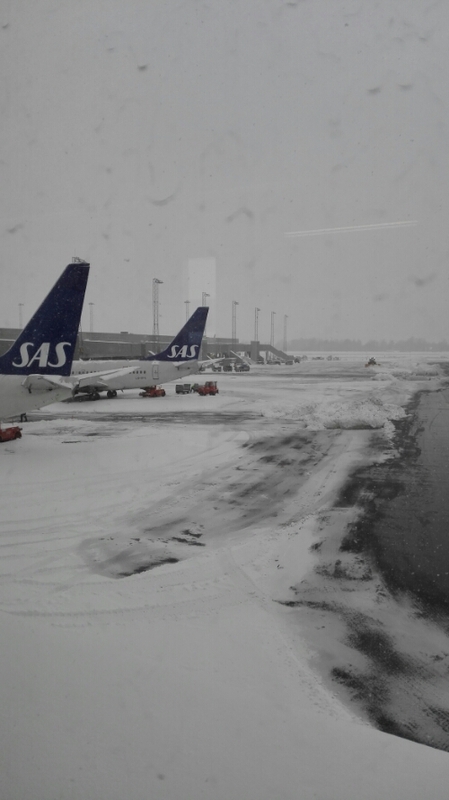 Norwegian television interviewed one of the men working with keeping the runway at Gardermoen Airport in Oslo clear of snow, he confidently said they would have needed less than an hour to clear the runway, then would have no problem keeping it ready for use between flights. I have no problem believing this. A few years earlier I myself had flown from Gatwick, it was snowing, just a little bit. In Norway we would hardly have considered it real snowing, in London it almost closed down the city. We were lucky and was on one of the last planes to leave before the airport was shut down. There might have come two or three centimeters of snow. 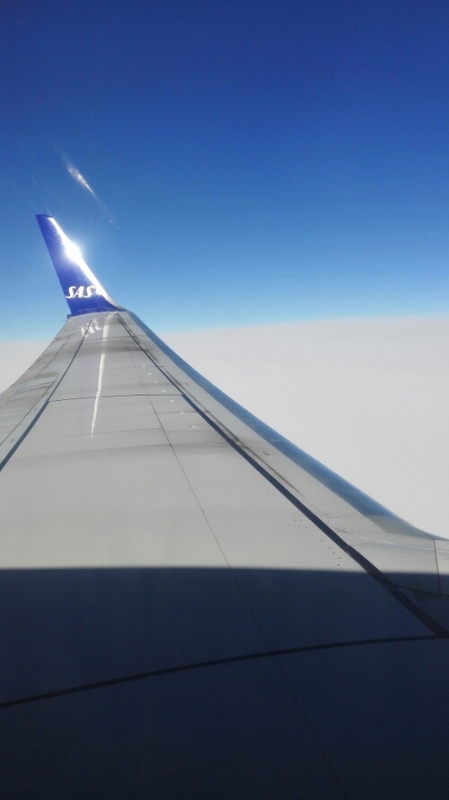 In March 2015 I was flying from Trondheim to Oslo for a business meeting. The meeting started quite late, I could take a flight at 8 am to reach the 10 am meeting. I woke up at 5:30, took the airport express bus from the city at 6 am. 50 minutes later I was at the airport. There was little snow in Trondheim. It was overcast, but hadn’t been snowing for weeks. As I got through security I noticed on the screen that the flight was delayed. It would take off fifty minutes too late. I headed for the gate where I met a co-worker. She was up to date on the information. 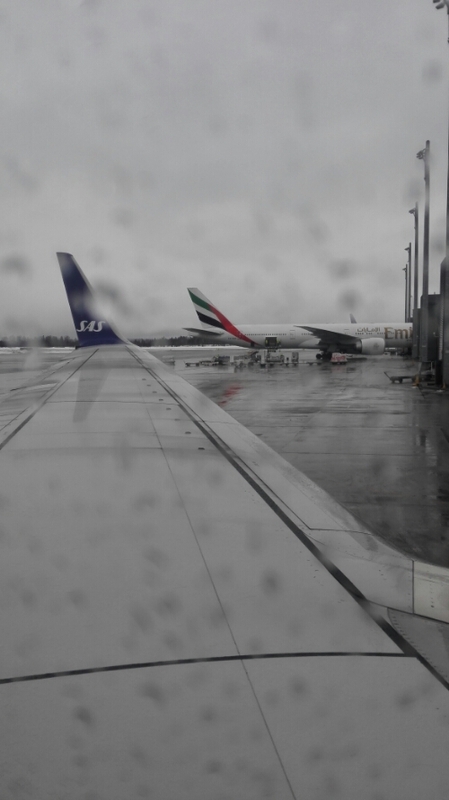 The plane was delayed out of Oslo, too much snow was causing long delays. Our flight was delayed over an hour, but eventually we took off. As we got closer to Oslo the weather got worse. During the last twenty minutes of the flight we could see nothing out the window, it was all clouds. We got to our gate, hurried outside and to the train. We were already running late for our meeting. Sitting on the train to Oslo we learned that the airport was now closed. There was simply too much snow to handle. 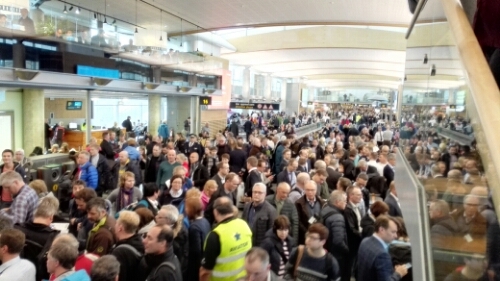 As I returned to Gardermoen later that day, my meeting over, I knew the airport had opened again and was told to expect some delays. My plane was still on schedule, I had already checked in online and was optimistic. If my plane was leaving on time for Trondheim that was great. 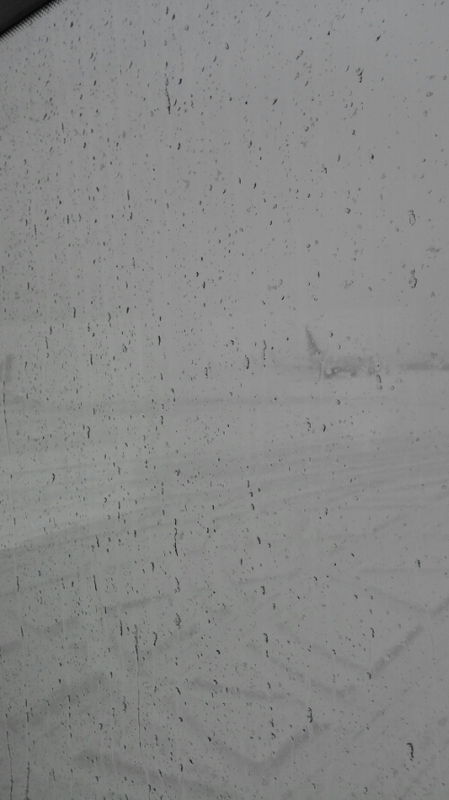 It had stopped snowing, the sun was out, it was possible that the plane would leave on time. As the train was nearing the airport the first text from the airline arrived, the plane was delayed half an hour. As I went through security the second one arrived. Another half hour. I kept getting texts like this for three hours, my plane finally left four hours late. Not directly due to the weather, after closing the airport for four hours it took a long time and lots of efforts for the airlines to redirect planes and crew back to where they were supposed to be. Still, I was quite impressed by how quickly the airport and the airlines were up and running again after receiving large quantities of snow. Three days later I travelled to Sarajevo through Oslo. This time the weather was much better. Warm, a bit of rain, all the snow had already melted. The weather in Norway can be quite unpredictable and it changes a lot. It’s currently 84 F (29 C) here at 3:58 pm in Central Texas. The past month, we’ve had wildfires (4,600 acres and 68 homes destroyed) followed by floods, but no snow! I hope your travels continue to be safe. Wow, that is a different kind of extreme weather. 29°C would be a very good summer here! We have a warm November this year, it is 5°C.